Well, she did it again! 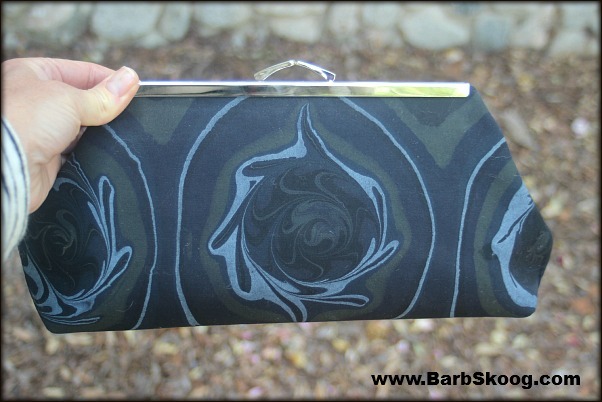 The wonderful Jeanie Joe dropped off a new clutch purse last week (along with some more small and large coin purses) and boy-oh-boy is this another beauty! 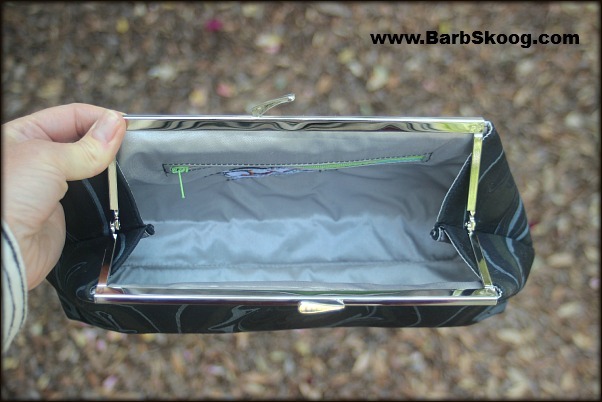 This roomy purse easily holds your cell phone, wallet, make-up, and more. There is also a deep, inside zipper pocket. Cost is $95 + shipping (and tax, if applicable). The clasp is shiny silver and easily fits on the hooks of public bathroom doors (very important detail!). 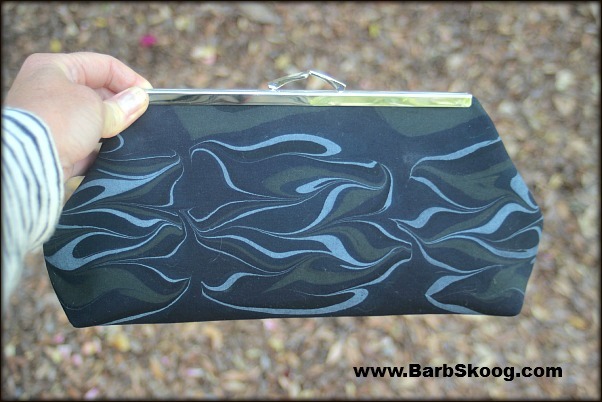 Each clutch purse is one-of-a-kind, made with high-quality materials, and washable.